Motorcycles are meant to be ridden. But Italian motorcycles are built to be admired first; every line, crease and curve crafted to evoke strong emotions in those that are lucky enough to catch a glimpse. 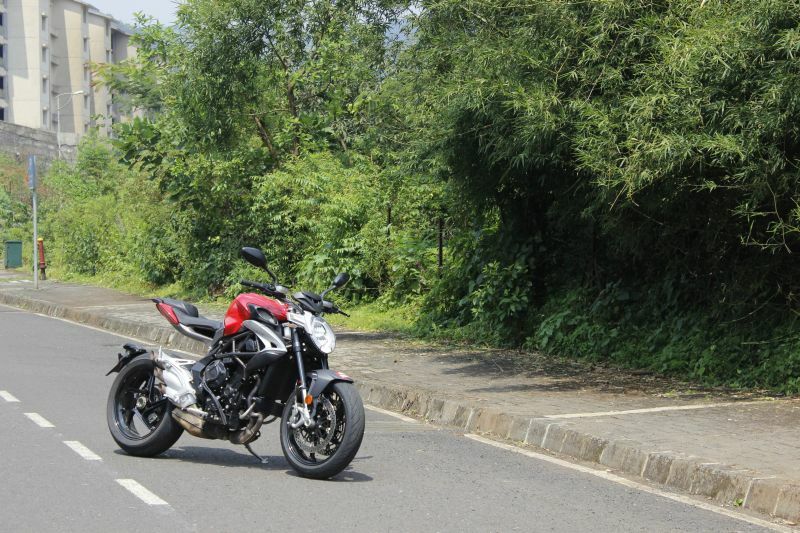 My first thought as I walked up to the MV Agusta Brutale 800, key in hand, was, ‘Wow, that’s sharp!’ An aggressively-raked headlight, flanked by slim turn indicators, makes way for a broad, shapely fuel tank that tapers down to a narrow waistline at the junction of tank and seat. 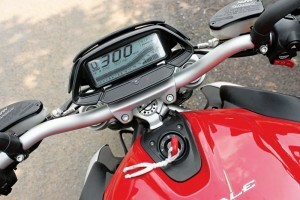 The wide, muscular chest trails off into a svelte sub-frame and tail section, unmarred by turn indicators or an ungainly number-plate holder; the indicators and plate are mounted lower, on the smartly designed tyre-hugger. Triangular sections of the steel trellis frame are exposed, and hanging below is the sweet 798-cc straight three derived from MV’s manic F3 sports bike. And I haven’t even mentioned the exhaust yet. 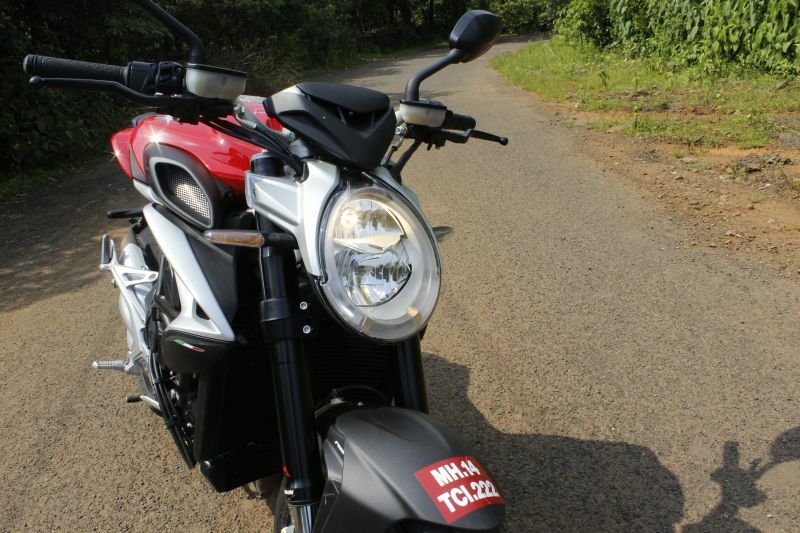 The beautifully-integrated three-into-one-into-three unit is the focal point of this bike when viewed from the right; and a trademark of the Brutale 800 since its introduction in 2012. 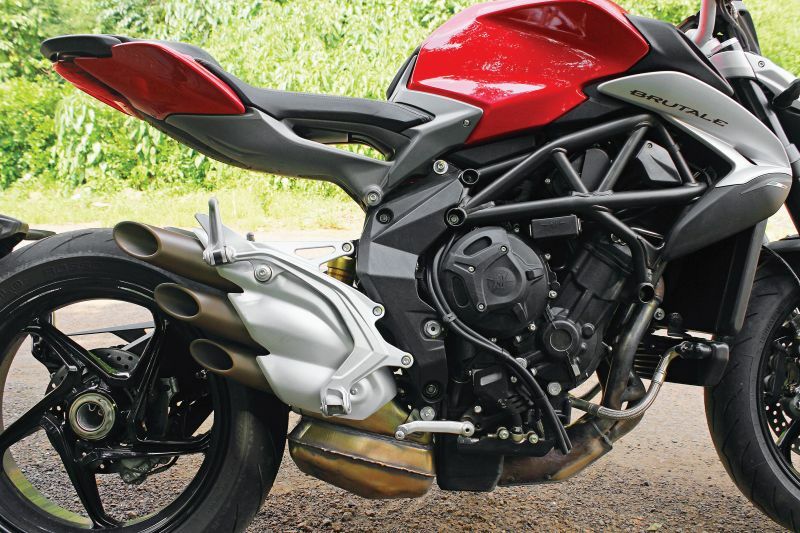 Beyond the slash-cut trio of tailpipes you get an uninterrupted view of the rear wheel and sticky 180/55 Pirelli Diablo Rosso III, thanks to the single-sided swingarm. The bike in front of me is the second iteration of MV Agusta’s naked middleweight, first seen at EICMA last year, and features an all-new chassis, engine and electronics package. It is an all-new bike, and a great job by MV to retain the design ethos that has worked so well with the previous version.